This is my first Posting of any of my work. 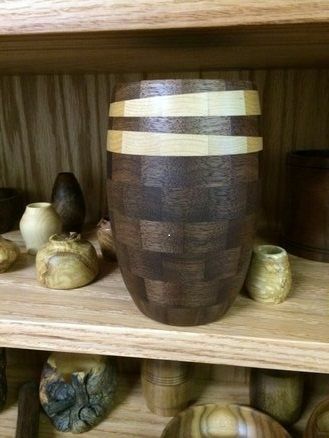 I’ve been turning for 5 or 6 years but just started doing some segmented items. It’s sure fun to turn when everything is oriented long grain. The two vessels are about 6” tall and the pepper mill is a 6” mill. I guess I need to learn how to get the photos oriented properly. Very nicely done ….they look great. Segmented items are always great to look at and figure out how a pattern is made…keep on turning. Paint or MS Office Picture manager.. Failing that there is a free downloadable version of photoshop!